Welcome to Vicki Jenkin Quilting, a professional longarm quilting service located in Horsham, Victoria. Vicki is an award winning quilter who offers Edge to Edge quilting, several levels of Custom Quilting and a Quilt Binding service at competitive prices. 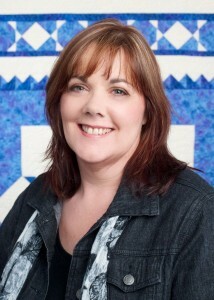 Vicki accepts quilts through personal appointment or by post or courier service. Every project starts with a design consultation to select a quilting design that best fits the intended use of the quilt and client budget. This consultation can be done in person, or can be very effectively done using email and phone consultation.